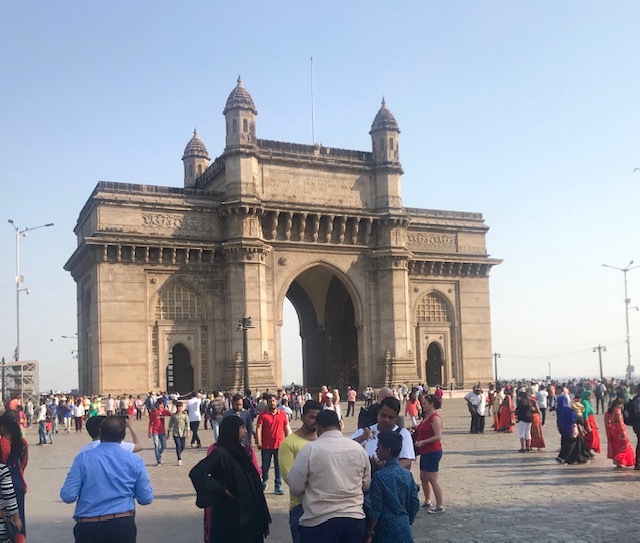 The Gateway of India, Mumbai ….the symbolic doorway to India welcoming visitors… the friendly and not so friendly. It was a symbol of power and majesty constructed by the British to commemorate the arrival of King George V and Queen Mary to India in 1911 for the Delhi Durbar. They were presented with a cardboard version as construction started only in 1915 and completed in 1924. To India, today it is a legacy of colonial rule. 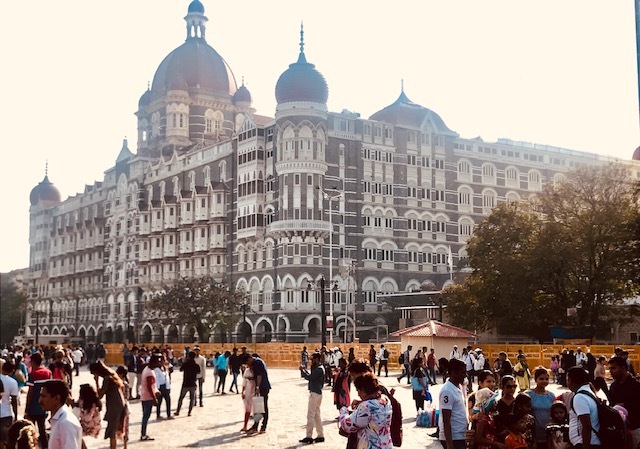 The Gateway was witness to the pomp and pageantry of the arrivals and departures of British Viceroys and Governors and of the First Battalion of the Somerset Light Infantry in February 28, 1948, The last exit signalled the end of British rule in India. 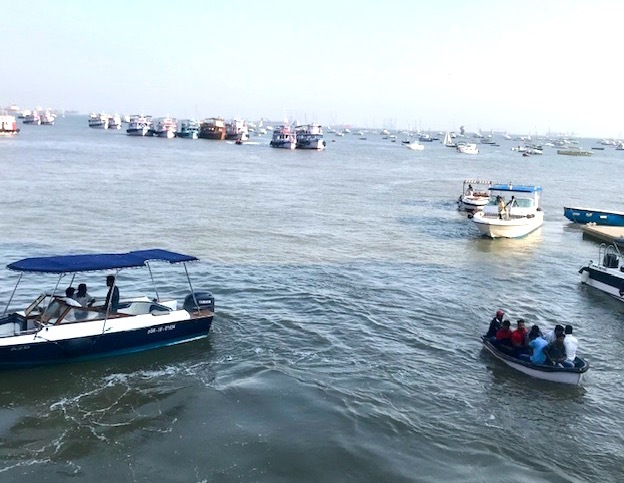 Location: The Gateway of India, at Apollo Bunder, Colaba, faces the Arabian Sea on one side and on the other the Taj Mahal Palace Hotel. The hotel was centre of 2008 terrorist attacks were the perpetrators of the attack took the scenic sea route. As result public access to the Gateway and the hotel is barricaded controlling the flow of tourists.